Checking your credit and tracking your credit score is often like going to the dentist – a pain. Not everyone is willing or prepared to gather thousands of dollars to pay cash upfront for a new vehicle. If you’re one of those people, you’re not alone. In fact, 2016 marked an all-time high for amount of vehicles leased in America. 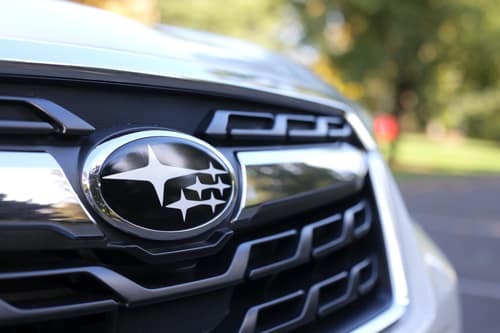 While leasing and financing can be more convenient than buying a car outright, your credit will be a determining factor of your monthly payments and interest rate. Whether you’re someone who keeps track of your credit score on a regular basis, or someone who struggles with bad credit, there are some things you should know about your credit score and how it may impact your car buying experience. Nowadays, there are many free ways to check your credit score. The majority of credit card companies now provide their customers with monthly credit scores. Companies such as Wells Fargo allow users to log in to their app and check their credit score for free. There are also an abundance of credit score services available online, such as Credit Karma and Equifax. But beware; many online credit score sites lure users in by offering a free credit report and begin charging monthly subscription fees after you sign up. However, annualcreditreport.com is the only website that is fully FTC authorized to give free credit reports. What are low rate and low down payment options? Do I qualify for them? 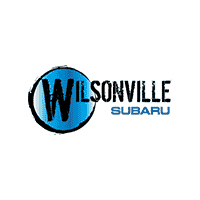 While Subaru Motors Finance (SMF) is Wilsonville Subaru’s primary lender, we also partner with many outside lenders. To check if you are pre-approved through SMF, visit our finance application page and fill out the form to see if your credit score allows pre-approval. If you are not pre-approved, you may still qualify during the application process, so don’t hesitate to come by the dealership, get more information and apply. I have bad credit – can I still finance? Absolutely! Even if you consider your credit “bad”, and do not qualify for pre-approval, we are always willing to work with you. We have many lending partners that are more than willing to help you finance your new vehicle. Our sales advocates are willing and ready to work with you in order to get you the best deal possible, and will not pressure you into making any decisions you are not comfortable with. Don’t let your credit score get in the way of driving away with the car of your dreams. What will my monthly payments look like? Determining your monthly payments depends on a couple of things, the price of the vehicle you are interested in and the length of your loan. For example, a 60-month loan will have close to $100 higher monthly payments than an 84-month loan, but the 84-month loan will cost more in the end, due to interest. Our sales advocated will assist you in going over all of the possible financing options and help find the one that best suits you. Check out our monthly car payment calculator for an estimate of your monthly car payment. Is it possible to fix my bad credit? Of course! Your credit score is essentially a reflection of how trustworthy lenders see you based on your financial history. In order to fix your credit score, you have to prove that you can pay back money that is lent to you. This can be done in a few ways. Auto loans are a great way to re-build your credit, since they are obviously smaller and more short-term than student loans or mortgage payments. Starting with small, low-interest rate loan is a great way to re-build credit, or build credit from scratch. Having a co-signer may also assist in helping you qualify for a loan. Make sure this is a trustworthy person, and someone who trusts you in return. Your co-signer becomes liable if you fail to make payments, and this will in turn have a negative impact on your credit score, as well as your co-signer’s. While re-building your credit takes a good amount of time and effort, it is definitely possible. To explore more options to help fix your credit, visit FTC.gov.